High voltage substations are interconnection points within the power transmission and distribution systems between regions and countries. 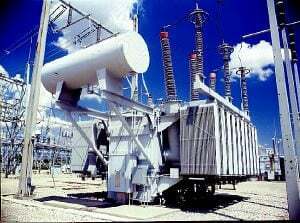 High voltage substations comprise not only the high voltage equipment which is relevant for the functionality in the power supply system. 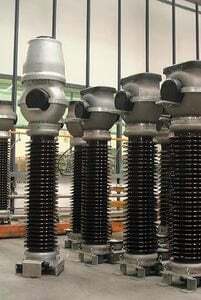 High voltage substations are planned and constructed comprising high voltage switchgear, medium voltage switchgear, major components such as high voltage equipment and transformers, as well as all ancillary equipment such as auxiliaries, control systems, protective equipment and so on, on a turnkey basis or even as general contractor. 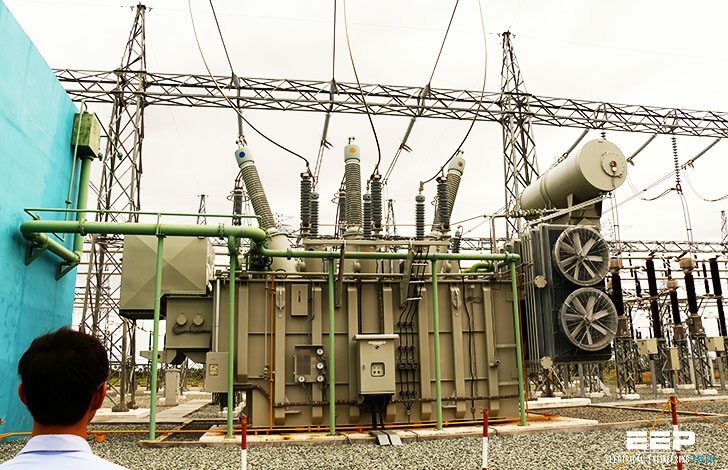 The installations supplied worldwide range from basic substations with a single busbar to interconnection substations with multiple busbars, or a breaker–and–half arrangement for rated voltages up to 800 kV, rated currents up to 8,000A. A and short circuit currents up to 100 kA. Substations are interconnected with each other, so that the power system becomes a meshed network. This increases the reliability of the power supply system by providing alternate paths for flow of power to take care of any contingency, so that power delivery to the loads is maintained and the generators do not face any outage. 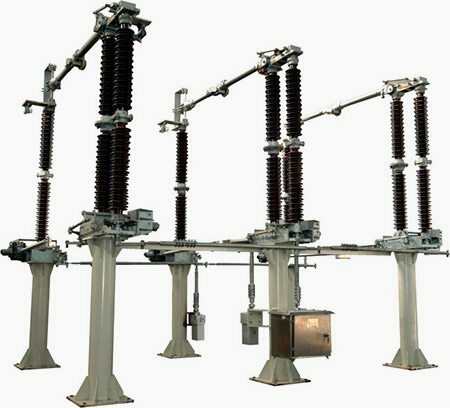 The high voltage substation is critical component in the power system, and the reliability of the power system depends upon the substation. Therefore, the circuit configuration of the high voltage substation has to be selected carefully. An outage of any busbar can have dramatic effects on the power system. An outage of a busbar leads to the outage of the transmission lines connected to it. As a result, the power flow shifts to the surviving healthy lines that are now carrying more power than they are capable of. This leads to tripping of these lines, and the cascading effect goes on until there is a blackout or similar situation. The importance of busbar reliability should be kept in mind when taking a look at the different busbar systems that are prevalent. 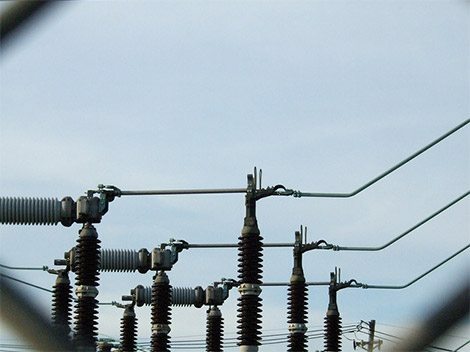 The protective measures can be categorized as personal protection and functional protection of the substations. Protective measures during work on equipment, i.e., installation must be planned so that the specifications of DIN EN 50110 (VDE 0105) (e.g., five safety rules) are observed. Mechanical stresses (exceptional stresses), e.g., weight and constant loads in simultaneous combination with maximum switching forces or short circuit forces, etc. The system is off the enclosed 1-phase or 3-phase type. The assembly consists of completely separate pressurized sections, and is thus designed to minimize any danger to the operating staff and risk of damage to adjacent sections, even if there should be trouble with the equipment. Rupture diaphragms are provided to prevent the enclosures from bursting discs in an uncontrolled manner. Suitable deflectors provide protection for the operating personnel. For maximum operating reliability, internal relief devises are not installed, because these would affect adjacent compartments. The modular design, complete segregation, arc-proof bushing and plug-in connections allow speedy removal and replacement of any section with only minimal effects on the remaining pressurized switchgear. All busbars of the enclosed 3-phase or the 1-phase type are connected with plug from the one bay to the next. The circuit breakers operate according to the dynamic self-compression principle. The number of interrupting units per phase depends on the circuit breaker’s performance. The arcing chambers and the circuit breaker contacts are freely accessibly. The circuit breaker is suitable for out-of-phase switching and designed to minimize overvoltages. The specified arc interruption performance has to be consistent across the entire operating range, from line-charging currents to full short circuit currents. The circuit breaker is designed to withstand at least 10 operations (depending on the voltage levels) at full short circuit rating. 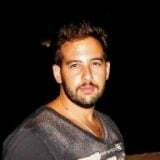 Opening the circuit breaker for service or maintenance is not necessary. The maximum tolerance for phase displacement is 3ms, that is, the time between the first and the last pole’s opening or closing. A standard station battery that is required for control and tripping may also be used for recharging the operating mechanism. The drive and the energy storage system are provided by a stored energy spring mechanism that holds sufficient energy for all standard IEC close-open duty cycles. The control system provides alarms signals and internal interlocks but inhibits tripping or closing of the circuit breaker when the energy capacity in the energy storage system is insufficient or the SF6 density within the circuit breaker drops below the minimum permissible level. All disconectors (isolators) are of the single-break type. DC motor operation (110, 125, 220 or 250 V) which is fully suited to remote operation, and a manual emergency operating mechanism are provided. Each motor operating mechanism is self-contained and equipped with auxiliary switches in addition to the mechanical indicators. The bearings are lubricated for life. High voltage outdoor earthing switch (126kV, 252kV) – Chint Electric Co.,Ltd. Work-in progress earthing switches are generally provided on either side of the circuit breaker. Additional earthing switches may be used to earth busbar sections or other groups of the assembly. DC motor operation (110, 125, 220 or 250 V) that is fully suited for remote operation and a manual emergency operating mechanism are provided. Each motor operating mechanism is self-contained and equipped with auxiliary position switches in addition to the mechanical indicators. The bearings are lubricated for life. Make proof high-speed earthing switches are generally installed at the cable and overhead line terminals. They are equipped with a rapid closing mechanism to provide short circuit making capacity. Current transformers (CTs) are of the dry type design. Epoxy resin is not used for insulation purposes. Voltage transformers are of the inductive type, with ratings up to 200 VA.
1-phase or 3-phase, SF6 gas insulated, metal enclosed cable end housing are provided. The cable manufacturer has to supply the stress cone and suitable sealings to prevent oil or gas from leaking into the SF6 switchgear. The cable end housing is suitable for oil type, gas-pressure type cables with plastic insulation (PE, PVC, etc.). 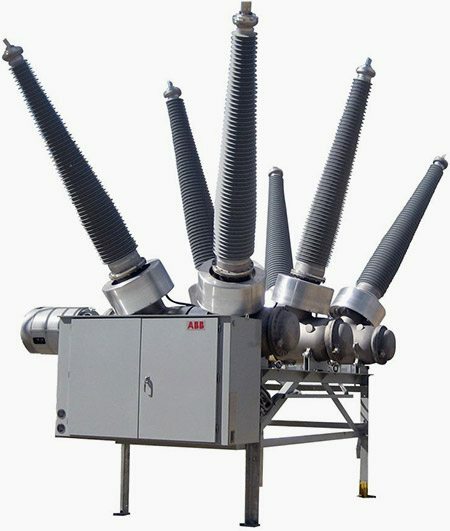 Additionally, devices for safety isolating a feeder cable and connecting a high voltage test cable to the switchgear or cable will be provided. The terminations for connecting overhead lines come complete with SF6-to-air bushings but without line clamps. As a standard, an electromechanical or solid-state interlocking control board is supplied for each switchgear bay. This fault-tolerant interlocking system prevents all operating malfunctions. Mimic diagrams and position indicators provide the operating personnel with clear operating instructions. Provisions for remote control are included. Gas compartments are constantly monitored by density monitors that provide alarm and blocking signals via contacts. is there anyway we can be able to download this document in full? do you guys as well know where to get a good training on substation design and automation ? Sam, if you want to download the article you should become a member and then a selection with the name ‘Get PDF’ will appear below the article’s title.